I’ve been talking to a number of people about my plans for 2016, and it struck me that I should share these more widely. As well as my work as “Champion for Girls’ Opportunities in Engineering” I see myself as a catalyst and facilitator for action in that I gather information and share it: I bring people together (whether to pool their expertise on a project, or to ensure they are not duplicating each other’s efforts unnecessarily), so it makes sense to share what I am up to. I’m delighted to report that School Gate SET has attained IET/IMechE EEGS funding for 3 months. This online community for part-time / career-break engineers and scientists with children in primary school will now get the chance to grow and develop. In early January, I will be receiving official training in ‘People Like Me’ (the new WISE resource to help educate and inspire girls about what can make them happy and successful in their chosen work). And as a licensed deliverer on behalf of the Hertfordshire Chamber of Commerce, I will be working with the Chamber to roll out the activity within the county; with particular emphasis on local SME STEM employers. I’m excited about the potential of this connection; via the Chamber, it brings together SMEs and other employers with girls, parents and teachers through this innovative activity. I now have two talks that have been honed to be a mix of entertaining and informative presentation and have been well received during 2015. Both can be adapted to run from 20 minutes to an hour. 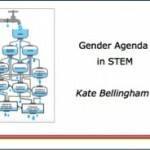 1) The Gender Agenda in STEM (which is for employers and others interested in the current gender imbalance in the STEM workforce) where I talk about the challenge of getting more women into STEM and why it matters to us all; while also sharing some personal experience of predicting future technologies. 2) STEM – Your World of Opportunities is aimed at secondary-school students, and is particularly relevant for year 9 – 11 girls. By using my own career-experience, and then showing a 20 year-old clip from Tomorrow’s World (where I talk about ‘something called the internet’), I get the students thinking about 20 years in the future and how they can prepare for that. I give them examples of where they can go for information and introduce the WISE ‘people like me’ activity. I then create a ‘game’ where they need to decide how to invest some imaginary funding to increase the numbers of women choosing engineering (thus addressing the skills shortage). This gives the chance to introduce a number of current campaigns, whilst also holding the attention of the students who may have already decided STEM isn’t for them. At the end they discuss what they have seen in small groups and vote for which campaign to fund. 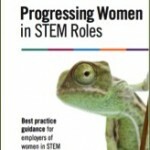 Following the publication of the IET document ‘Progressing Women in STEM Roles’ (produced in partnership with the Prospect union) I am enthused to find a way of sharing this insight with smaller engineering companies. In my involvement with WISE and WES I know that there is good work going on in larger companies, but often the recruitment, retention and progress of women is not made a priority in SMEs, despite there clearly being a skills shortage. My new challenge for 2016 is to find a way of supporting such companies to point them towards some quick and easy ‘wins’, while setting them on a more long-term process to address their gender imbalance.